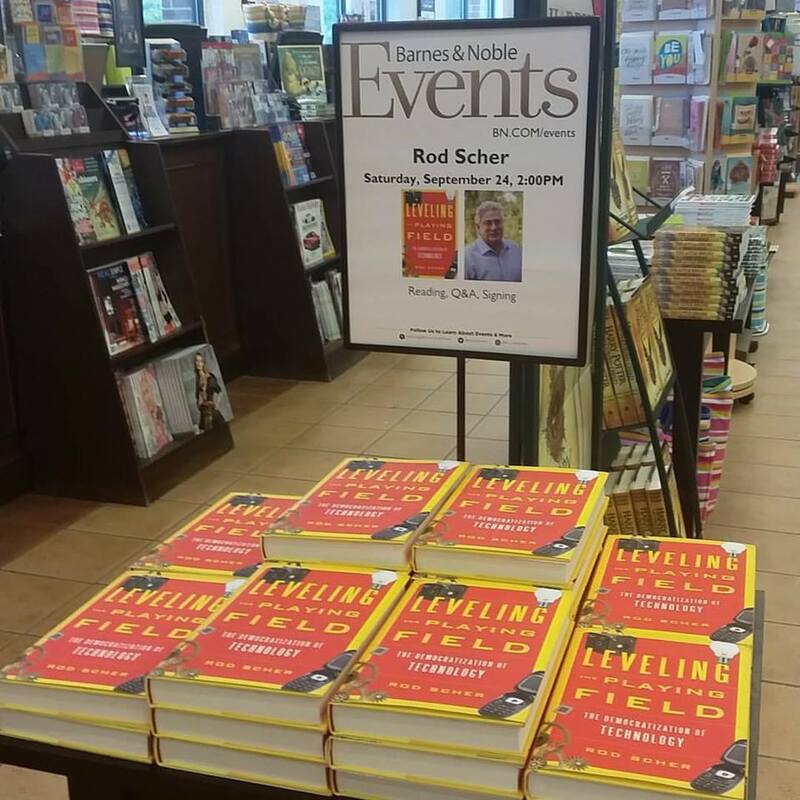 I'm about to do a book signing for Leveling the Playing Field (why, yes, you're invited! ), so I've been doing some thinking about book signings in general. First, they're risky. Especially if you're the only author at the signing (sometimes multiple authors will set up at a bookstore for a "local authors" signing), it can be very embarrassing (not to mention boring) if no one shows up and you're just sitting there, all by yourself at your little table, surrounded by stacks of the book on which you've labored so hard and for so long. There you are, sitting with your lonely, pitiful piles of books, listening to the sound of crickets. Occasionally a tumbleweed rolls by. A rusted metal sign hangs by one corner, rattling and clanking, swinging in the cold wind that sweeps down the muddy street. No, wait! That was a movie I saw a few years ago. Still, you get the idea. It's no fun having quite literally put yourself out there, only to find out that no one cares. That's actually only happened to me once, and I wasn't alone. Ted Kooser and I did a signing back in 2009. I was hawking a book I had recently annotated, Sailing Alone Around the World, and Ted, naturally enough, was promoting a new book of his beautiful poetry. (Yes, you should check out Ted's poetry. He's awesome! There's a reason he became Poet Laureate of the United States.) The thing is, neither one of us was attracting much attention. I might have spoken to two or three people and signed perhaps one book. Ted spoke to five or six or so, and sold a couple of books. Mainly, we stood around for two hours and drank coffee while Ted told jokes, several of which were what would have been described in a more genteel time as "slightly off color." In the end, though, Ted got to go home and relax in a nice leather chair and look at his Pulitzer Prize on the mantle. I went home and sat on the floor with the dog and looked at my 8th-grade dodgeball trophy. I'm sure the experience was essentially the same for both of us, and I happen to know that the dog was quite impressed with my dodgeball trophy. Now, the first signing I did for Sailing Alone was actually quite well attended, partly because it was a "local authors" event, so there were several of us there. We all sat at little tables arranged in a line that stretched from me at the front to Tosca Lee at the rear. (Tosca was signing copies of Havah, I think.) Many of the people who walked past me were on their way to see Tosca, for several excellent reasons: First, Tosca is truly a wonderful writer, a NYT bestselling author who weaves historical thrillers that are almost magical in their ability to transport a reader to another place and time. Also, she happens to be much better looking than I. And finally, she had brought cookies to the signing. Cookies!! Why didn't I think of that?! I like to think it was the cookies that attracted so many people to her table. Still, in order to get to Tosca's table, they had to walk past mine! So, marketing/sales whiz that I am, as every single person passed, I stiffened my resolve, locked eyes with the floor, and mumbled, "So, you probably don't want one of these books, do you? No, I didn't think so, OK, thanks anyway. Yes <sigh>, Tosca is back this way, behind that crowd of milling people and the heaping mounds of cookies." 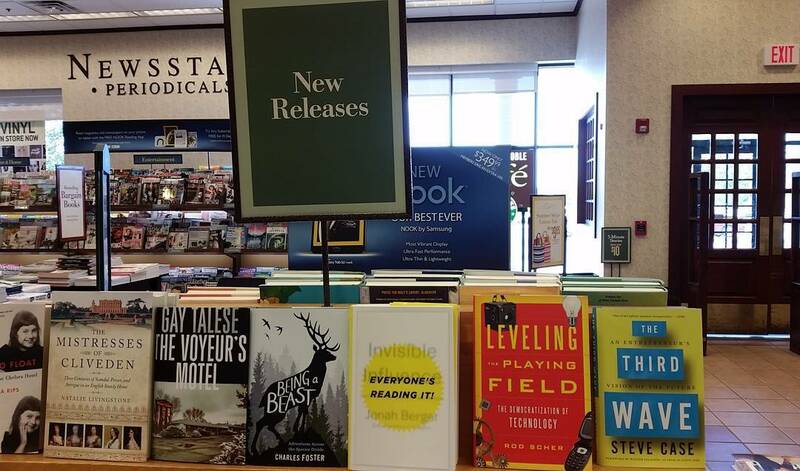 Nonetheless, I sold and signed a lot of books that day, so I'm not complaining. Also, I got a cookie. People have the wrong idea about what goes into a signing and how much help writers get from their publishers, so I'll tell you: very little. Unless you're a big-time author, the publisher doesn't help much—and really doesn't look at a signing as a terribly effective marketing tool. So, not much assistance there. If you're lucky, the publisher will send some extra books, maybe print off some flyers for you, and possibly note the signing on their Facebook wall or website. So when you see authors doing a signing, unless they're big names, they're pretty much there on their own; if they traveled to get to the signing, they probably did so on their own dime. So, in the end, a signing is a scary beast. The writers are out there naked to the world. (Not literally. It's a metaphor; I got it from one of those packets.) Whatever we've created—a novel, a children's book, a biography, or whatever—is sitting out there on that little table, ready to be judged by . . . well, everyone who walks past. (And the fact that they walk past is in itself a form of judgment.) One of the reasons that's scary is that I really think that most writers are somewhat introverted, and many of us are uncomfortable with self-promotion; we're good writers—or so we hope—but most of us are not terribly good salespeople. In fact, I think I was brought up to believe that self-promotion was somehow . . . unseemly, that it was not the gentlemanly thing to do. Luckily I'm friends with a large number of exceedingly ungentlemanly people who are quite good at helping me sell my books, and very effective at encouraging me to take on those marketing tasks with which I am somewhat uncomfortable. The bottom line is that we love it when people stop by a book signing, even if they don't plan to buy a book or even if they already have a signed book. So if you have a chance, do drop by the signing next Saturday, September 24th, at the SouthPointe Barnes and Noble, at 2:00 p.m. (That's the same day as the Lincoln Arts Festival, so come early—or stay late and make an afternoon of it!) I'll do a short Q&A or reading, and then I'll sign books or newsletters or pamphlets—basically, whatever you hand me, I'll sign. Yes, there will be cookies. The loneliness of the long-form writer. Unseemly,huh? Like P.T. Barnum, maybe. Unfortunately, I live in a far northern clime, too far to make it to this book signing. But I recommend to all to stop by Rod's stall, at least for a cookie. And, when I make it back to Lincoln, I expect my own personal book signing, and a cookie. Best wishes for a fantastic event, Rod. I hope you had a lot of people at your book signing! I am going to do a post soon about books and I am going to link to your new blog, if that is okay with you. Ted Kooser, Kris Kristofferson...you are a name dropper! Hi, Kay. It was a GREAT book signing, thank you for asking. More than 50 people there, by the time it was all over, sold a lot of books, chatted with some great friends and neighbors, and also met a few new people. As far as name-dropping goes, unfortunately, I'm now completely out of names!! Unless I somehow become BFFs with Bruce Springsteen, that's about all the name dropping you're gonna see from me. :) If you order the new one, I do hope you'll enjoy it!